The residual effects of watching thousands of hands has been tremendous for my game, and I’d love to share some observations with you, as I do regularly as an instructor at the WPT Boot Camp. We have taken the time to match WPT footage with specific instructional material. Classes are taught by, not only me, but our Boot Camp core instructors, Mike Sexton, Vince Van Patten, Linda Johnson, Scott Fischman and Ron Rose. The process of watching and analyzing thousands of hands from simultaneous camera angles offers me a significant amount of data to see consistent patterns develop. While I need to notice patterns and variance in play over the course of a single episode for the production purpose, an intriguing by-product is that I have observed certain long-term patterns emerge as certain players succeed more than others. With fields increasing by a record amount from event to event, one would believe it to be more likely to see six new faces every time they sit down to watch a new episode. This is not quite the case, as there are a number of repeat visitors to WPT final tables. I am convinced that a few specific and consistent qualities have led these players to not only play at the final table, but win championships. So what are the common factors in play here? What is it about these players that allows them to do as well as they do, even as fields of players expand each week? There are a few common elements to the games of players like Daniel Negreanu, Humberto Brenes,John Juanda, Phil Laak and Gus Hansen; players we have seen multiple times at our final tables. Some of these elements we are well aware of in the world of poker analysis and instruction. They know the math of the game very, very well. All five players are highly skilled at understanding their opponents, seeing patterns in their play, and playing to the level of weakness they perceive in their opponents hands. All five (yes, including Gus and Phil who may seem to only have a fifth gear) can change gears abruptly at the turn of a single card or so smoothly that you never see it coming. When we talk about changing gears, we are normally referring to changing style of play, switching gears from a range of conservative to aggressive, tight to loose play, both in betting amounts and frequency, as well as choice of what cards to play. To discuss gear-changing in depth could fill an entire magazine, so I thought I would narrow this discussion to one aspect of gear-changing that I have found to be the least talked about, and, possibly, the most ingenious. Outside of altering betting amounts and/or starting hand quality, players who are adept at changing their behavioral gears at the table have been able to manipulate their way to victories and/or greater winnings. More than any other player listed, I credit this aspect of Daniel Negreanu’s play over any other in his arsenal to be the greatest contribution to his recent success on the WPT. You might be wondering exactly what I mean when I refer to changing a behavioral gear, and further, how that could be the greatest contributing factor to a player like Daniel Negreanu’s success. 3. Their physical behavior at the table. Efficiently changing gears usually refers to intelligent moves made in the first two examples (based upon the opponents playing style in a particular hand) and what size chip stacks they have. 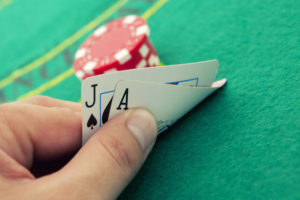 A player who reads these variables well and computes these factors (along with computing how his opponents choose to play a particular hand) can tip off the perfect way to induce the type of action he would like them to perform. As I mentioned, an alternative way of inducing desired action from a player is by simply altering your behavior at the table. This is not just the way you make your bets or count your chips, but how you interact. For example, if you go from talkative and light-hearted to still, serious and silent at the turn of a card, it will impact your opponents thinking. If practiced often, in both abrupt (mid-hand) and in subtle, longitudinal fashions (over a series of hands), it can become an extremely effective tool to promote predictable behavior from your opponents. I implore you to watch Daniel closely (and Humberto Brenes for that matter) this season on the World Poker Tour. I believe both of these players to be bona fide masters at the art of altering their behavior to elicit controllable or identifiable behaviors from their opponents. In fact, they repeatedly did this to each other at the Bellagio Five-Diamond tournament! Essentially, there are two results from changing your behavioral gear that will help you pull in the chips. First, if done abruptly, your opponent will be put off-guard, and will offer some type of reaction to your change in tone. How they adjust through comment, behavior, and action at the table will ultimately indicate hand strength, if done to the right person at the right time. Secondly, with subtle changes, someone will eventually conform. As an example of subtle conforming, try nodding your head up and down while talking with someone just prior to asking a simple yes or no question. You will be baffled at how many people nod their heads up and down, or reply before they have even thought. This is an everyday example of a common technique used by salespeople. Whoever conforms to the other’s behavior will typically be on the losing end of the transaction. It is simple physics, actually. Acting upon an object and analyzing its response tells you about the object’s nature. The same is true for poker. The easiest way to tap into the human element of your opponents is through your behavior at the table. Before you hop down to your local card room and start acting erratically, this topic comes with a warning. There is a reason why I conversely recommend to beginners to behave less at a table. That is because pros make a living out of reading people who give away too much. Gear-changing is something to practice and layer(as opposed to force) into your game. A foundation needs to be built before you start hanging art on the walls. Once your poker face is mastered and you are sufficiently in control of your physicality at a poker table, that would be the perfect time to venture into this arena; slowly and intently. Watch the pros closely. Find your own way of layering this style into your own games. Take your time. Poker is not going anywhere. Author Bio: Alex Outhred is an instructor at WPT Boot Camp and is an associate producer on the World Poker Tour television program, where he scrutinizes every card, bet, critical decision and glance across poker tables. As such, Outhred has been dubbed ‘The Insider’ for his unmatched experience. To learn about or sign up for a WPT BOOT CAMP, visit wptbootcamp.com.